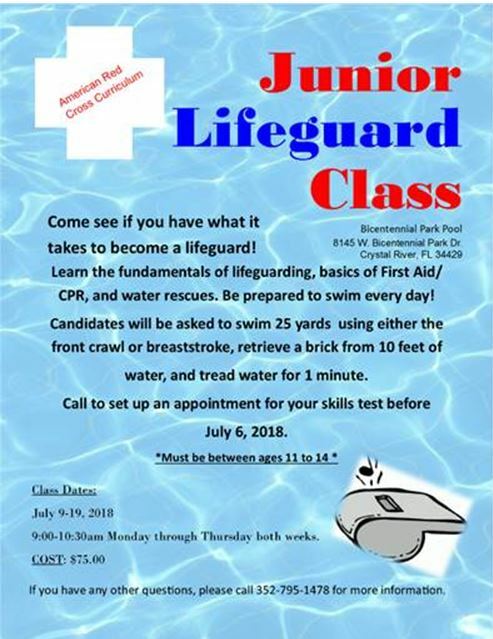 Junior Lifeguarding Class begins July 9 for ages 11-14 at Bicentennial Park Pool. $75 per student. Learn the fundamentals of lifeguarding, basics of First Aid/CPR, and water rescues! Call (352) 795-1478 to set up an appointment for your skills test before July 6.